Dr. Serhat Erzurum is a physician who has practiced 25 years and is now in Youngstown, Ohio. Originally specializing in obstetrics and gynecology, Dr. Erzurum is now primarily focused on geriatric patients and their standard of care. He makes several house calls to visit with patients who may otherwise not be able to take advantage of visiting with a physician. Bridging the gap between homebound patients has become a second calling for Dr. Erzurum, allowing him to help with more than just medical needs. 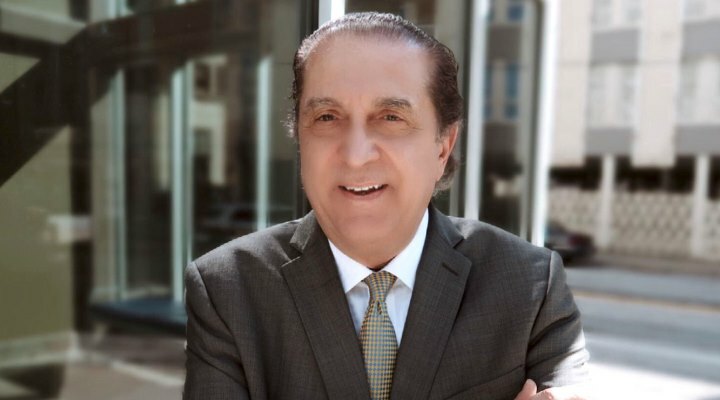 Dr. Erzurum received his Bachelor’s and Master’s degrees from Youngstown State University before moving on to his Doctorate in Engineering from Cleveland State University and M.D. from the University of Texas Health and Science in San Antonio. His Ob/Gyn practice was successful for many years before he recognized the increased need for in house medicine and the benefits it brings. These days, Dr. Erzurum can mostly be found traveling from home to home, providing risk assessments and physical exams to patients that may not normally be able to make it to the office. Dr. Erzurum is able to take advantage of this unique arrangement to help the patient, not just medically, but with overall well-being when necessary. In his free time, Dr. Erzurum enjoys playing golf and reading. He also enjoys spending time with his two daughters. It was a unique opportunity to help others. There were several of my family members that dealt with severe illnesses that I was affected by when I was younger. I also enjoy the science of it, I was always interested in the technical sense of it. It’s mostly about human interaction and the ability to help others. I specialized in Obstetrics and Gynecology, but I am now practicing Geriatric medicine. I do house call medicine. This is something that was very popular years ago but has since been much less normal. It’s not the easiest way to make a living. Unfortunately, there are a great number of seniors that are stuck at home that cannot make it to an office. CMS finally saw the benefit to cover house call medicine again. We can even draw labs in the home. It works out to be less hospital stays for patients since they can be seen once a month. I’ve been doing house call medicine since 2014. I also do health risk assessments for insurance companies in the home or nursing home. We determine their safety and health needs and find ways to best help them. I have also been greatly involved in Hospice care. Most people want to be at home with their families when it is their time to pass. This is another part of the home medicine, working with the patient and their families to allow their wishes to be fulfilled in the most comfort. This relieves expenditures on hospitals and on insurance companies alike. I usually get up and have breakfast early. I review emails and correspondence in the mornings also. Most of my visits are the in-home evaluations for insurance. If I am scheduled to work that day, I will travel to the patient with my bag and all the equipment I need so I can provide a thorough evaluation. I may be in a home for up to an hour. On a visiting physician day, it’s more patients in a day. I may see up to nine people in different locations. I believe it brings the most value to the patient. I feel it gives a more well-rounded view of their health and their living situation, which affects their health. I have found patients that were buying supplies out of pocket that would have been covered by their insurance. I’m able to help with those things and, had it been an office visit, I may not have even been aware it was needed. I love all of it. I am able to see the satisfaction when I am able to help. There is a level of respect that you receive in helping to guide patients in a good direction. After so many visits, they know they can trust me. I am recognized as a physician. I’ve been to some areas that maybe aren’t the safest, but the people who are there know that I am here to help someone and they don’t bother me. What do you consider the greatest accomplishment in your career? One of the things I’ve always done, even when I was still practicing OB/Gyn, is spending time with my patients, just talking and listening. I’ve had patients tell me they don’t get this kind of attention at their church or from their family. I had a very large practice because my patients knew that I cared about them and that I was willing to listen. Medicine is not just about writing prescriptions, it’s about knowing who your patient is and treating them as people, not conditions. Share some of your volunteer activities. When I was practicing in Pennsylvania, we participated in the Do a Good Deed Program where we would encourage a drug-free environment for the kids. We’d have them write up good deeds that they had done and they would compete for prizes. I haven’t done as much since I’ve moved on from there, but it is something I’ve been looking into. What do you do to mentally separate yourself from your job? As a physician, you always have to stay objective. It’s difficult to separate yourself from the job. This line of work can, of course, be an emotional one. I come home at night and I still have to complete the charts from the day, so there is work for me still at home. My family, though, has definitely helped me to keep things separate. They have been a great source of support for me. I want to continue to do what I am doing now. I want to keep helping aging people to better their lives, to improve their standard of care and the conditions in which they live. For example, if a patient with continuous sinus issues goes to an ENT, they may prescribe medications or even surgeries, but if they had been to his home, they would have seen that he has four cats and no vacuum cleaner. That is how the in house medicine allows us to see more and help more. All that may be unnecessary, but how will we know if we don’t know how they live? We can prescribe medicines, but that is only treating a symptom, not relieving the underlying cause.